THE MIDDLEWICH DIARY: FREE WI-FI AT MIDDLEWICH LIBRARY! 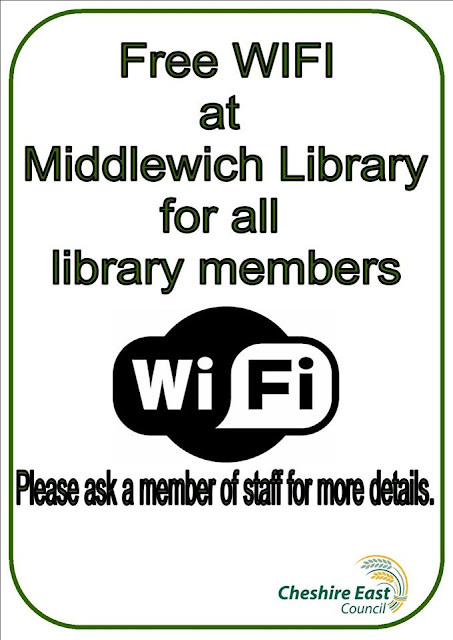 FREE WI-FI AT MIDDLEWICH LIBRARY! We now have FREE WIFI available here at the library. Please share so others are aware. MONSTER MASH! IT'S THE BOATYARD SMASH!